A renegade US military surveillance blimp has crash-landed in Pennsylvania after slipping from its tethers in Maryland today. 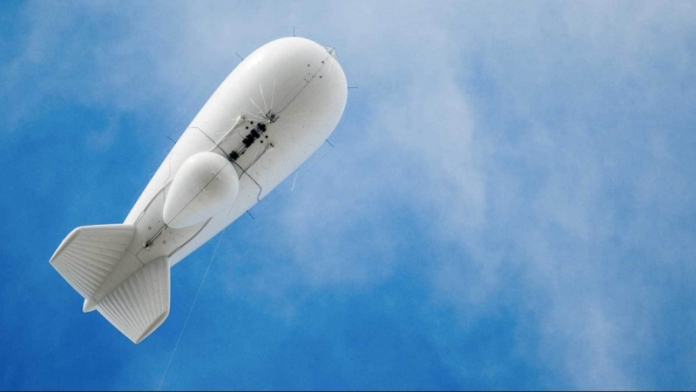 The recalcitrant blimp, also known as aerostat, is part of the military’s Joint Land Attack Cruise Missile Defense Netted Sensor System (JLENS). 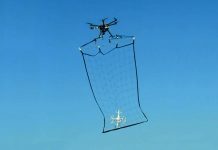 It is a part of an aerial detection system put in place to watch out for threats from above, and is one of two planned balloons intended to float 10,000 feet above DC, and act as an early-warning shield for the city. Theoretically, it would monitor for cruise missiles and drone attacks on the East Coast. The implementation of this project has met with derision for its impracticality and ballooning costs. No pun intended. The high-tech blimp wreaked havoc as it floated on its merry way from Maryland into Pennsylvania, gathering more than a mile of cable, and knocking out power to thousands of homes and businesses. Pentagon officials say they have no clue how the 242-foot-long blimp managed to break free of its shackles. The US military quickly arranged two armed F-16 fighter jets to keep watch as the massive blimp meandered its way through Maryland, eventually deflating on its own in Pennsylvania. The blimp, part of a $2.8 billion Army program, eventually landed in Exchange, Pennsylvania, a community outside Bloomsburg, about 150 miles north of the Aberdeen Proving Ground.